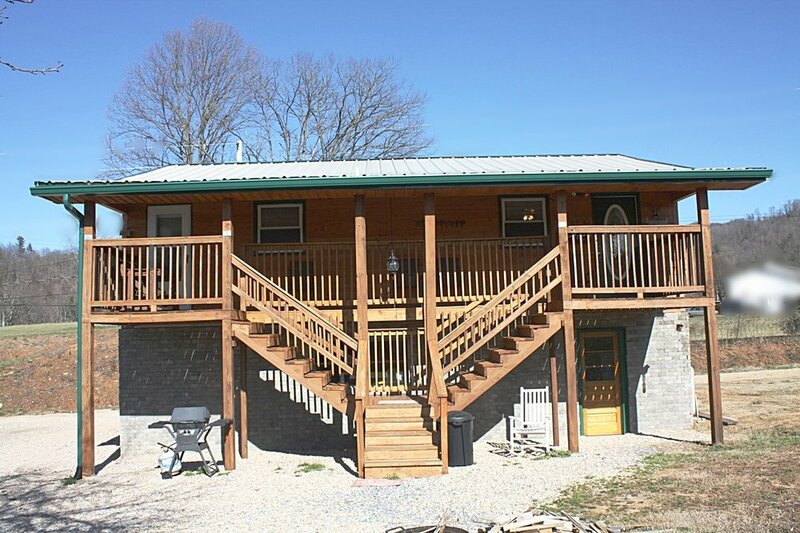 Bear-a-dise, The Homestead, "Lucky 13"
Two-story Bear-a-dise features eight different types of woodwork designed and handcrafted by John Allen himself. 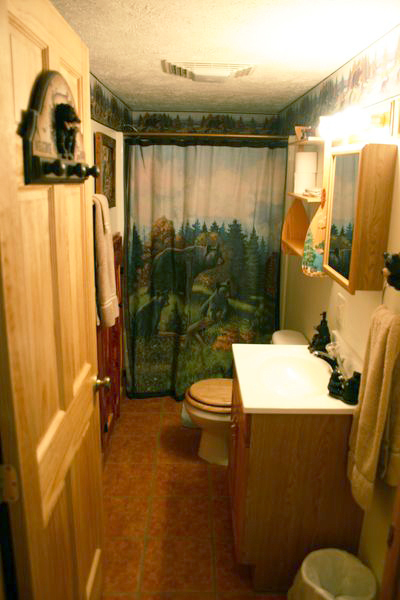 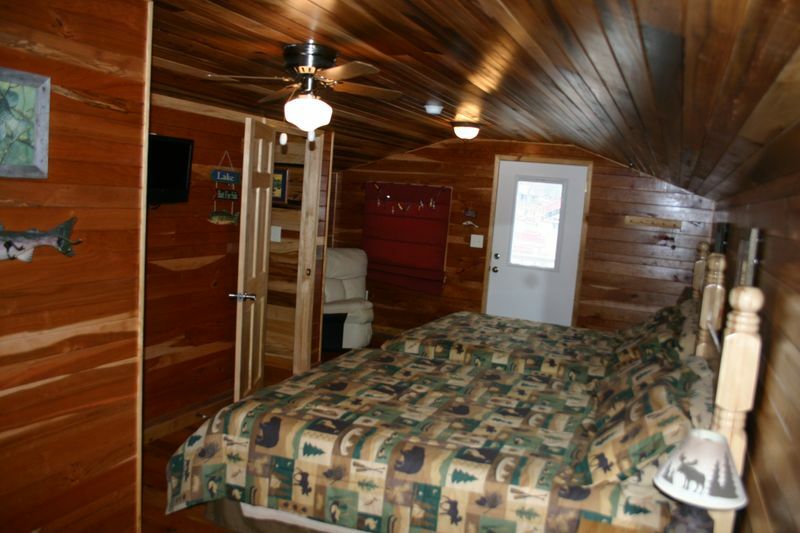 It includes a front and two-story back porch with a Black Bear theme throughout. 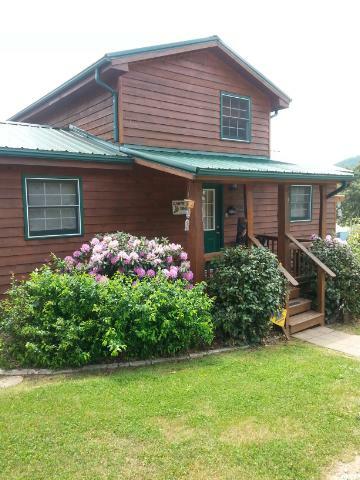 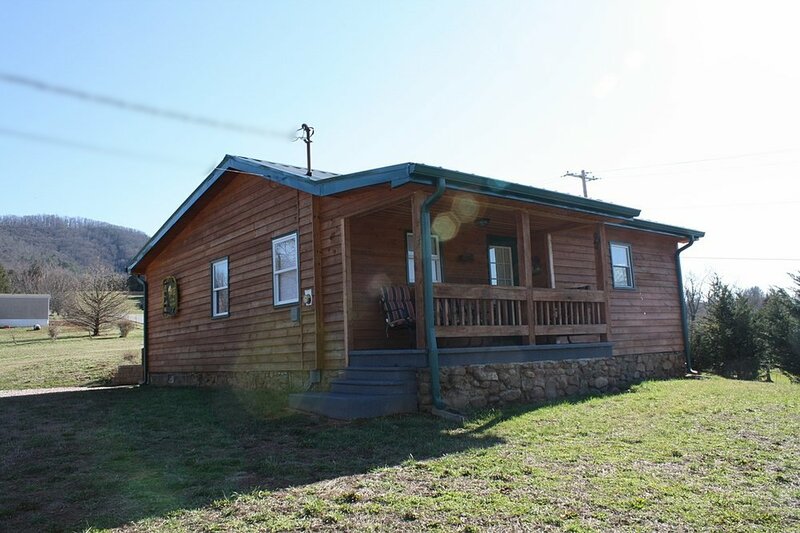 Our Homestead cabin is an antique enthusiast’s delight with vintage farmhouse decor, a covered back porch and front porch with a scenic view of the mountains. 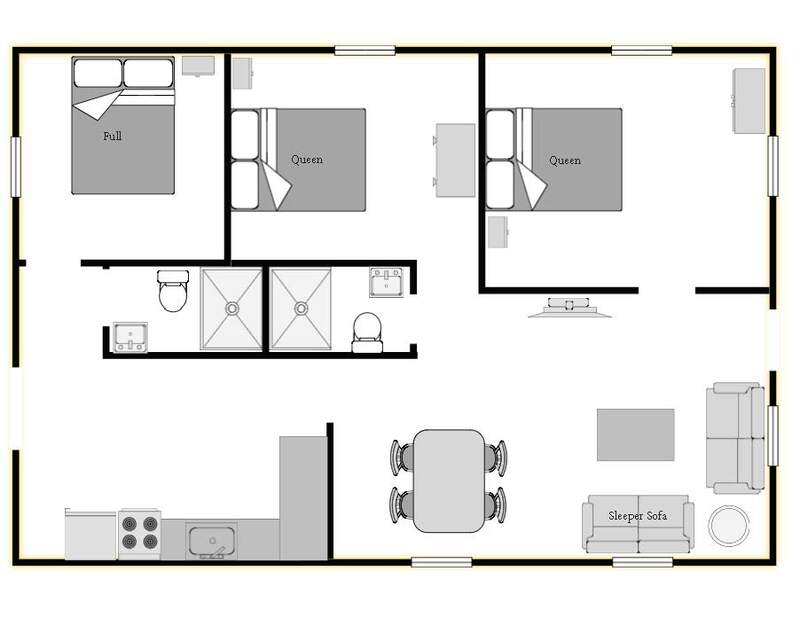 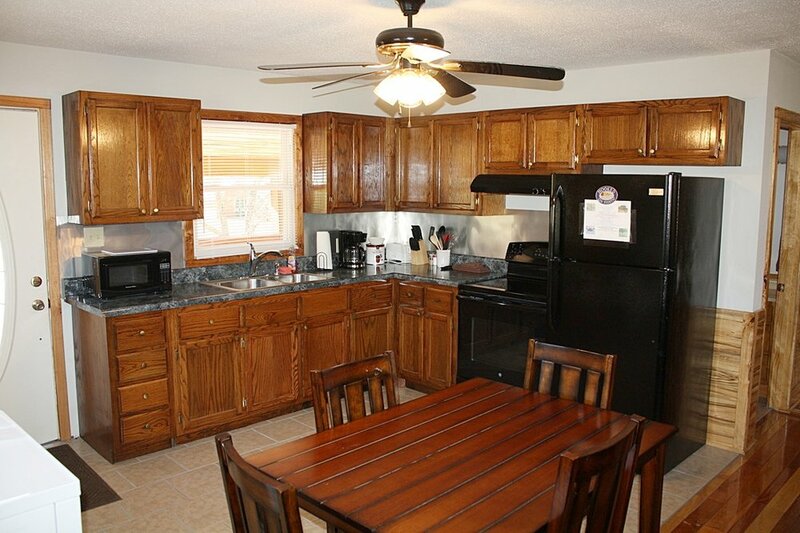 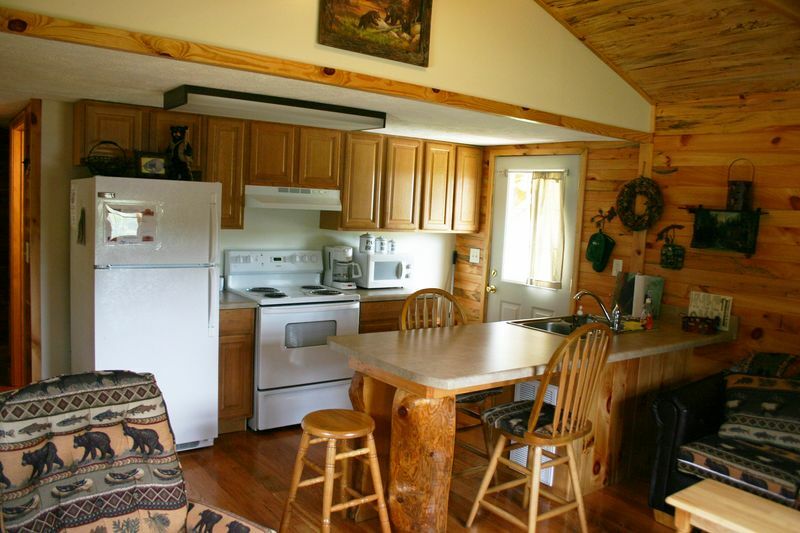 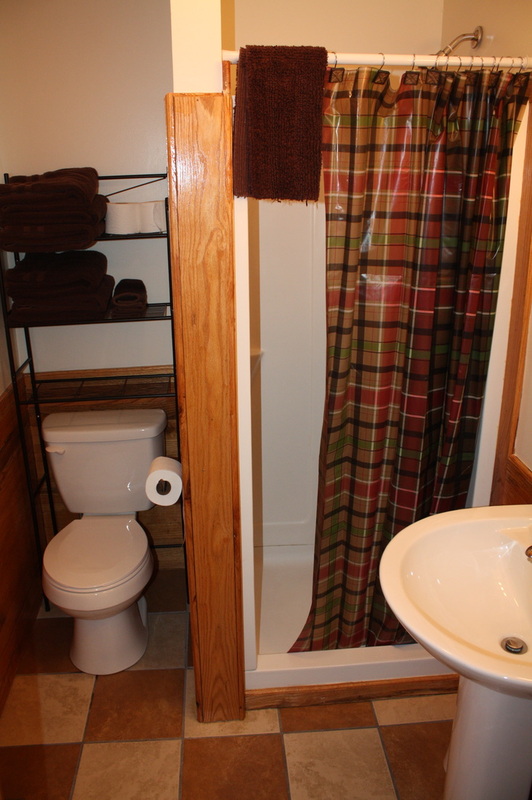 "Lucky 13" is one of our more spacious cabins and has a large kitchen and dining area. 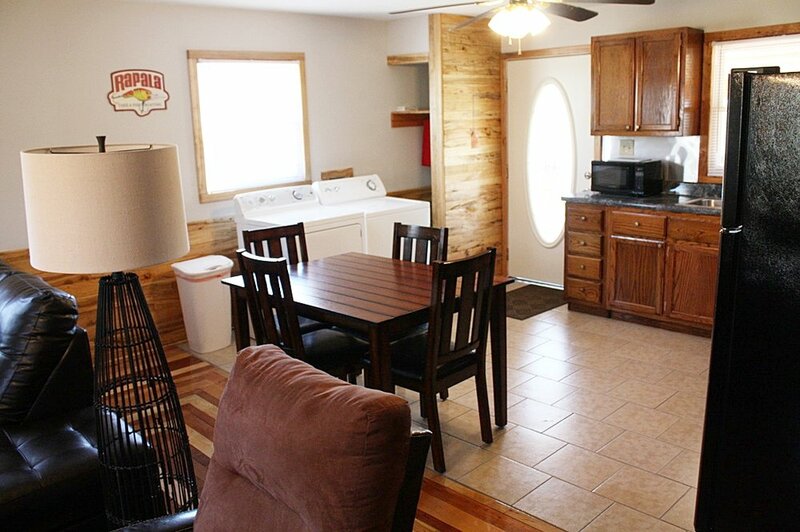 With 2 bedrooms and a pull-out sofa and a washer and dryer, it's a great place to hunker down and stay a while. 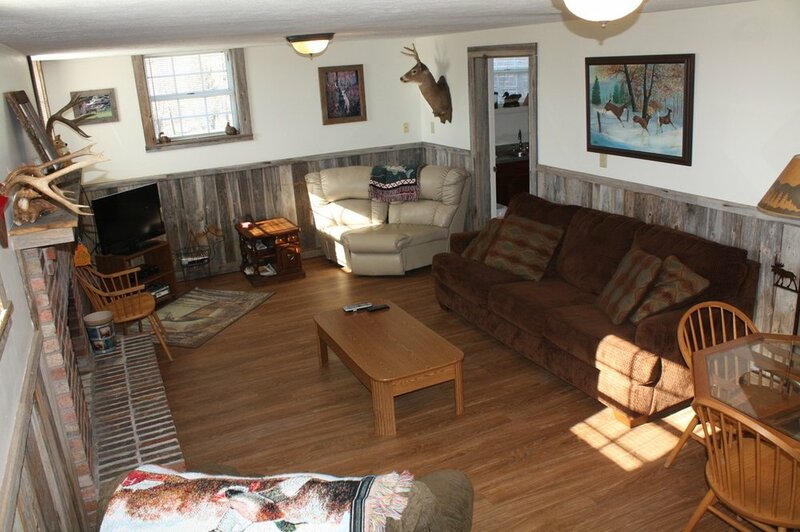 Warm up by the gas log fireplace amidst old barn woodwork after a full day of fishing. 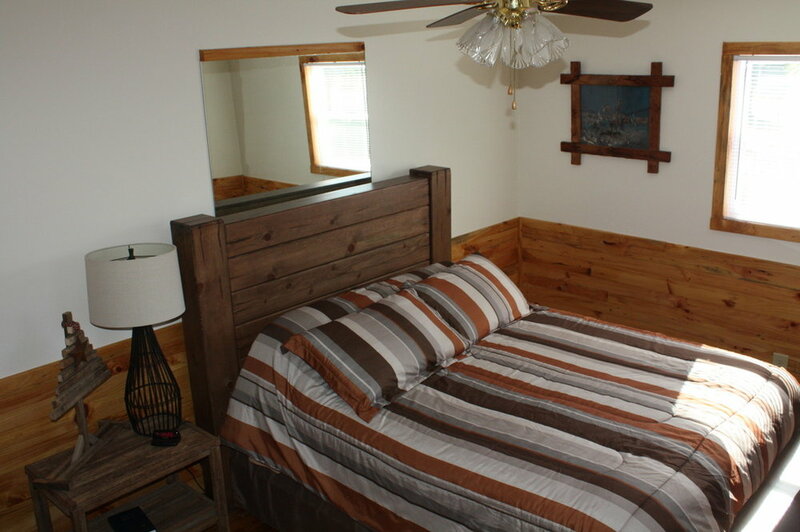 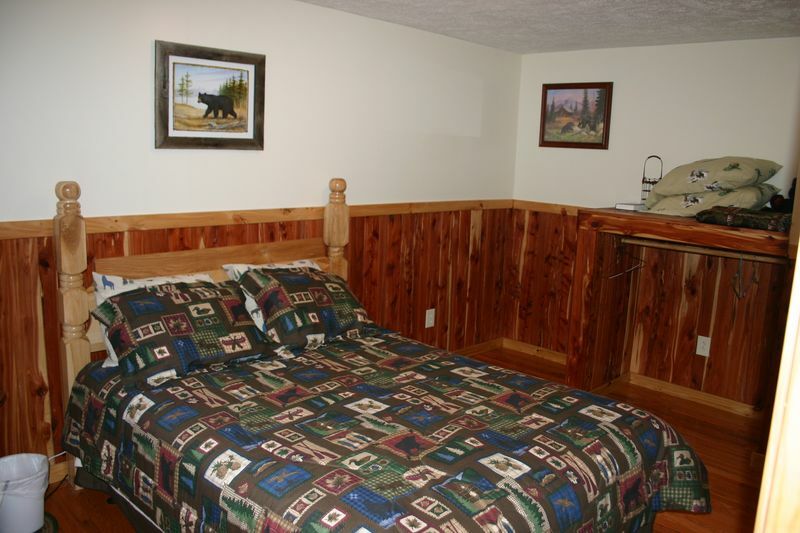 The Hunting Floor of our Lodge is a flexible one-bedroom cabin, which includes 1 queen, 2 full beds and a futon.